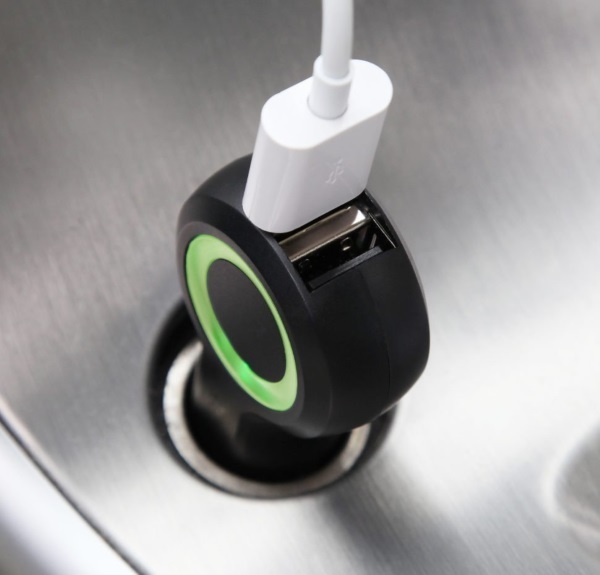 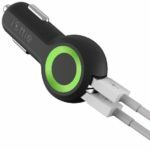 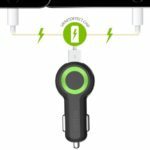 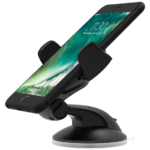 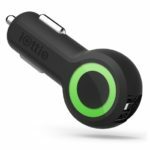 The iOttie RapidVOLT Max allows you to quickly charge all of your devices while on the move. 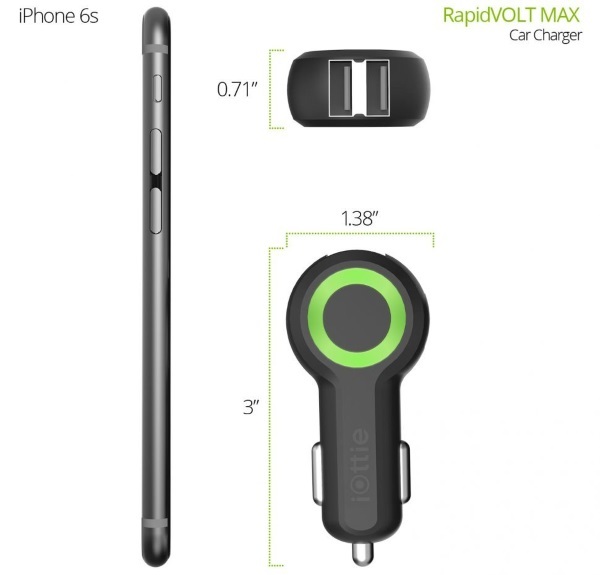 Designed on the unit is a green LED light which alerts the user that the RapidVOLT Max is connected. 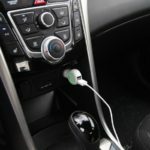 Simply plug in your USB charging cable to the RapidVOLT Max and connect the unit to the auxiliary port to charge your devices. 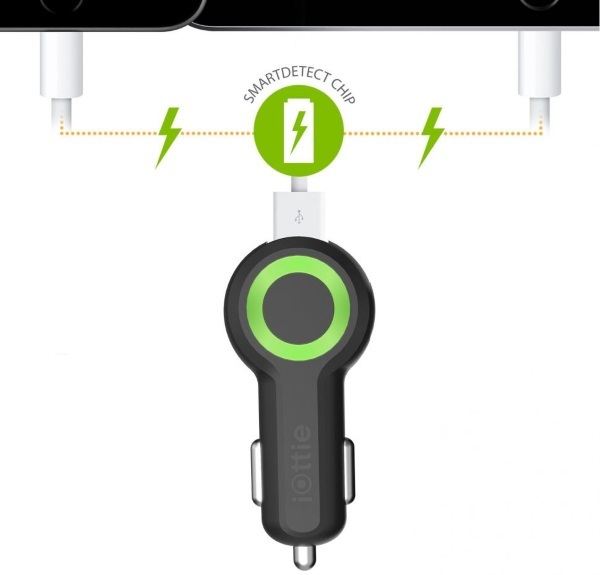 With dual USB ports and auto device detection, you can rapidly charge both your smartphone, tablet or any USB powered devices simultaneously. 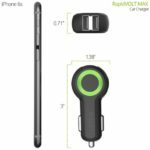 Simply mount and go!